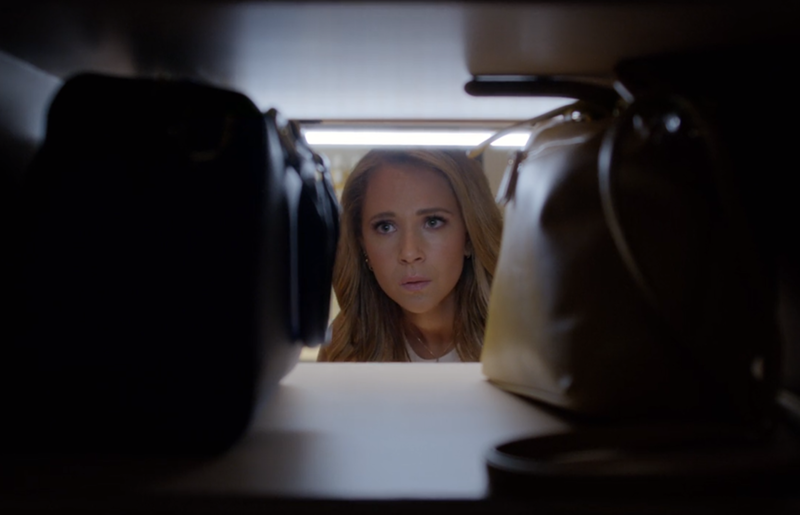 For some it means sentimental items such as old photos and important documents, like passports and birth certificates; but if you’re Veronica, the privileged daughter of successful interior designer Debra Meehan in the Netflix show Dirty John, maybe you’re more concerned with storing your expensive handbag collection. In this blog we’ll break down all of the features of Veronica’s blue safe, and recommend our very own safe perfect for the budding handbag collector! 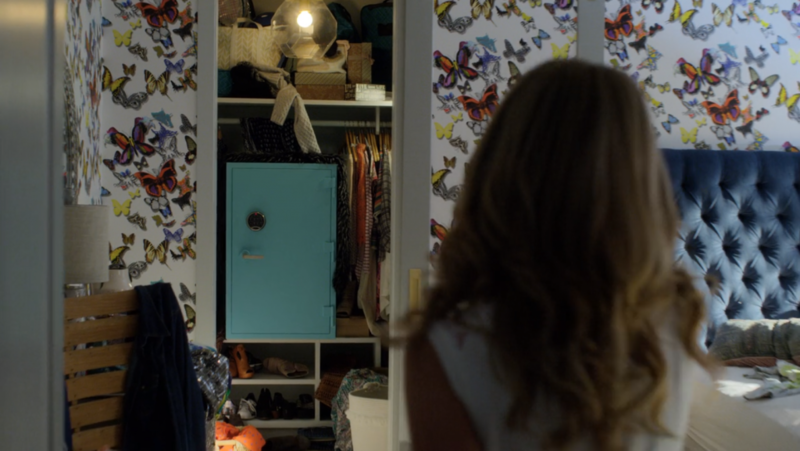 Considering Veronica’s access to considerable amounts of cash and Debra’s nonchalance towards spending it, it would make sense that Veronica would have a safe that makes a statement. 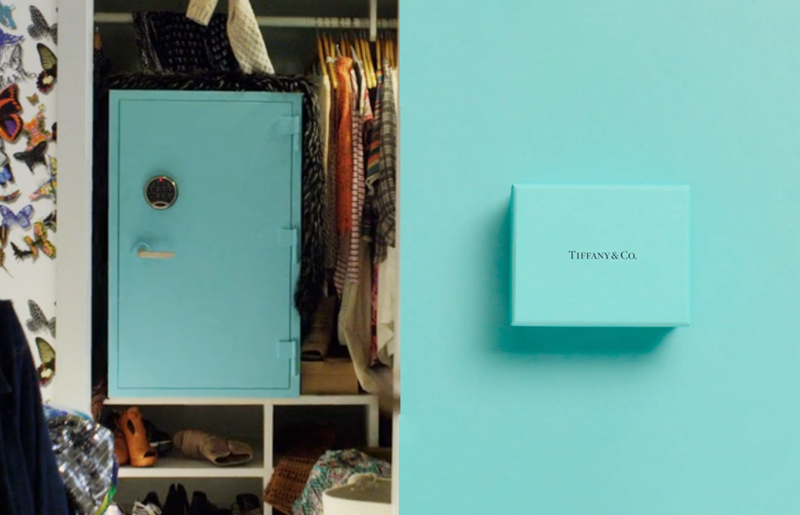 The hue of blue used on Veronica’s safe is clearly a custom paint job inspired by luxury jewellery company Tiffany’s iconic Tiffany Blue colour. What’s the point in having a collection of beautiful handbags if you can’t appreciate them in all their glory? Veronica’s safe has a bright internal light that shows off her prized collection at its best. This also makes it easier for her to see the contents of the bags when she’s swapping items around before heading out with her bag of choice. We would assume the light switches on automatically when the door is opened – which would definitely come in handy. If Veronica’s bags are the real deal (which we’re sure they would be) they would usually come with a certificate of authenticity. The handy drawers in Veronica’s safe would be the perfect place to keep them organised, as well as any pieces of jewellery and other valuable items she may want to store, such as her (assumingly well travelled) passport. 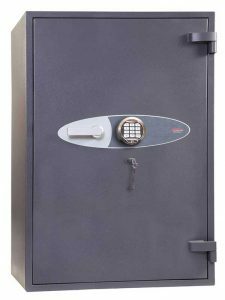 Veronica’s safe has an electronic lock – meaning no one can access the safe unless they have the pin code. 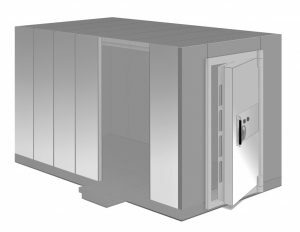 This avoids the risk of any keys going missing or being copied, and some electronic locks have an audit trail so you can tell if someone has accessed the safe whilst you’ve been away. This is perfect for keeping her collection away from any Dirty Johns, or annoying sisters! If any budding handbag collectors are interested in a safe like Veronica’s, we would recommend the Phoenix Fire Fighter FS0443E. We estimate this size could, like Veronica’s, hold up to 6 bags. 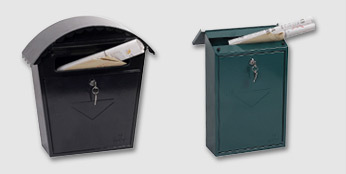 It also has a handy internal drawer for storing important documents. It’s rated for up to £2,5000 cash and £25,000 valuables and is fire resistant, meaning your handbags will be protected in the event of a fire! 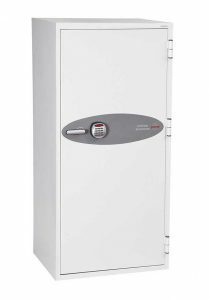 Finally, the Fire Fighter has a Lifetime After The Fire Warranty, meaning if you did ever suffer the misfortune of having a fire at home, we would replace the safe completely free of charge. If you have more handbags than Veronica, you might be interested in the Fire Commander FS1912E. 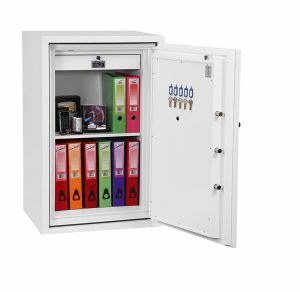 With the same fire protection, electronic lock and £25,000 valuables rating, the Fire Commander also benefits from an additional shelf as well as a tamper alarm – for extra protection from those Dirty Johns! 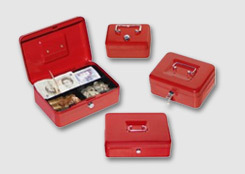 If your handbag collection is worth more than £25,000 and you need more valuables protection we do offer high security safes that can protect anywhere from £100,000 all the way up to £1 millions worth of contents protection – such as the Phoenix Cosmos series. 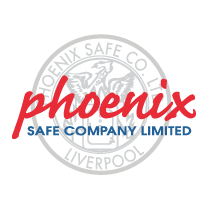 If you’d like help picking a safe to suit your individual needs, get in touch with our customer service team and we’ll be more than happy to help! « The future is here: how smart tech is changing home security as we know it.